Whether you are buying or selling or both it can be a very exciting but stressful process. For most people, their home is their largest single investment. We want to make the process as easy and understandable as possible. Whether first time buyers or seasoned investors, our clientele benefit from the knowledge and efficiency earned through our years of experience. Hopefully our web site information answers most of your questions but don’t hesitate to contact us for any further assistance. We act for clients primarily in Nanaimo but the information provided applies throughout B.C. We also act for clients outside of B.C. where we utilize technology to streamline the closing process. “What do I do now?” is usually the second most commonly asked question. They have entered into a binding contract of purchase and sale – what do they need to do now and when do they need to do it? There are a number of questions that arise and we want to help our clients understand the Closing Steps (see links above for your type of transaction). Legal Costs Legal costs for a purchase with a mortgage usually range from $900 – $1,200, and for a sale with one mortgage to be discharged usually range from $600 – $750, regardless of whether the client retains the services of a notary public or a lawyer. It is important for the client to understand what is or is not included in a quote and what might be added as additional charges. Costs that are usually included in a quote are professional fees, land title search and registration fees and miscellaneous office disbursements. GST and QST are usually added to fees and disbursements as with other services and products. Call our office for a quote for your transaction so that we can try to ensure it is an appropriate quote for your transaction. Third Party Closing Costs These costs are generally associated only with the buyer’s costs and are usually quoted separately from “Legal Costs” as they vary from one transaction to another. For example, we will need to obtain a Municipal tax certificate, the cost of which varies from $10 to $50 depending on the municipality. We will also obtain an insurance binder showing loss payable to the lender, the cost of which varies but usually ranges from $25 to $35. Finally, for strata title property, we will require a Form F stating there are no arrears in maintenance fees and a Form B information certificate, the cost of which usually ranges from $50 to $60. The Strata Corporation may also charge a “Move-In” fee which usually ranges from $50 to $200. Most lenders will require that we obtain a Survey Certificate or Title Insurance on behalf of the buyer. A Survey Certificate is used by the lender to ensure that the buildings on the property do not encroach on adjoining property or into “set backs”. If a Survey Certificate is not available lenders may accept Title Insurance in lieu of a Survey. Title Insurance provides insurance to protect the lender from any encroachments that would have been identified by a survey certificate. Title Insurance has some additional coverage that may be important to a buyer. The cost for a new Survey Certificate or Title Insurance for mortgages less than $500,000 usually ranges from $200 to $250. In the event of a subsequent refinancing an owner may need to buy a new Title Insurance policy. Closing Adjustments Closing adjustments cover a number of items including municipal taxes, municipal water and sewer fees, strata maintenance fees, rent and security deposits. Strata fees are charged and paid monthly on the first day of each month. The monthly strata fees will be pro rated between the buyer and the seller, with the buyer reimbursing the seller based on the number of days between the date of adjustments agreed to in the Contract of Purchase and Sale and the last day of the month. Rent is adjusted on a similar basis with the buyer receiving a credit for a portion of the rent. In the case of a continuing tenancy, the buyer will receive a credit for the security deposit with accrued interest as the buyer will be responsible for reimbursing the correct amount when the tenant vacates at a later date. Municipal property taxes will also be adjusted. Property taxes are based on a calendar year and are payable usually at the beginning of July. The adjustment between buyer and seller will therefore vary depending on the time of year of closing of the transaction. The tax adjustment is one of the more complicated adjustments to understand but it is based on the parties being responsible for any costs associated with the property only for the period of time in which they are in possession. These adjustments are set out in a document normally referred to as the Statement of Adjustments and there is one prepared for each the buyer and the seller. The Buyer’s Statement of Adjustments sets out the buyers total costs and identifies the sources of funds to pay these costs. The sources of funds will include the initial down payments pursuant to the Contract of Purchase and Sale, the Mortgage proceeds, any credits in terms of rent, tax or other adjustments. The final line item on the Buyer’s Statement of Adjustments will identify the amount of money required to complete the transaction. The balance required to complete will need to be delivered to our office, in trust, by certified cheque or bank draft. The Seller’s Statement of Adjustments sets out the sellers total costs and the final line item will identify the amount to be paid to the sellers notary public or lawyer on completion. Step 1 – Contact our office as soon as you have an accepted Contract of Purchase and Sale and have removed all subjects to avoid rush fees. Let your realtor/banker/mortgage broker know that you are using our office for your transaction. If you are not using a realtor, you must provide us with a copy of your Contract. Step 2 – We will need to gather information from you including how you wish to hold title to the property if you are buying with your spouse or partner. Don’t hesitate to contact our office if you have not heard from us at least 2 – 3 weeks before the closing. Step 3 – We conduct a title search and obtain tax information and any additional information necessary to prepare Statements of Adjustments. If you are getting a mortgage, we will also need to obtain an insurance binder with “loss payable” to your lender. Step 4 – We prepare closing documents including title transfer, mortgage, property transfer tax forms and Statements of Adjustments. We will then forward the seller’s closing documents to the seller’s lawyer or notary for execution. Step 5 – 1 – 3 days before closing is when we usually meet with you to sign documents and obtain the balance of the down payment or equity. The balance of funds will need to be paid to our office by certified cheque or bank draft payable to Notary,” in trust”. If your funds are invested ensure that they will be available for deposit in advance of closing. Step 6 – We will register the transfer and mortgage documents and arrange to payout the seller’s lawyer or notary. Step 7 – Your realtor will make arrangements for the house keys for the Possession Date as set out in the Contract of Purchase and Sale. Step 8 – Move in and enjoy your new home! Step 1 – Contact our office as soon as you have an accepted Contract of Purchase and Sale and have removed all subjects to avoid rush fees. Let your realtor know that you are using our office for your transaction. If you are not using a realtor, you must provide us with a copy of your Contract. Step 2 – We will need to gather information from you regarding your existing mortgage and any existing tenants in the property. We will also ask you for the Surveyor’s Certificate for the property if you have one. Step 3 – We conduct a title search and obtain tax information and order a mortgage payout statement from your lender. Step 4 – The buyer’s notary public or lawyer prepares the closing documents, so we must receive those documents before we can prepare our Order to Pay and arrange for your appointment. Step 5 – 2 – 5 days before closing is when we usually meet with you to sign the sale documents. Step 6 – We will return the signed documents to the buyer’s notary public or lawyer on undertakings for them to register the transfer and mortgage documents and provide us with the sale proceeds on completion. The documents are generally provided to the buyer’s representative on their undertakings to: not register the documents until they are in receipt of the balance of funds required by the buyer to complete and that upon registration and their receipt of mortgage proceeds (if any) they will forward the net sale proceeds to our office. Step 7 – Your realtor will make arrangements with you to pass along the house keys on the Possession Date as set out in the Contract of Purchase and Sale. Step 8 – We will contact you when we have a cheque for the net sale proceeds ready for you to pick up. Step 1 – Contact our office as soon as you have a mortgage approval and preferably at least 10 days before funding is to occur, to avoid rush fees. We will need to receive the lender’s instructions before we can start our work on your behalf. Step 2 – We will need to gather information from you including the name of your insurance company and if the property is strata title, the name of the management company. We will also gather payout information for any existing mortgages or third party creditors to be paid out with the refinancing. Step 3 – We will conduct a title search and obtain tax information and any additional information necessary to prepare the Mortgage and Order to Pay. 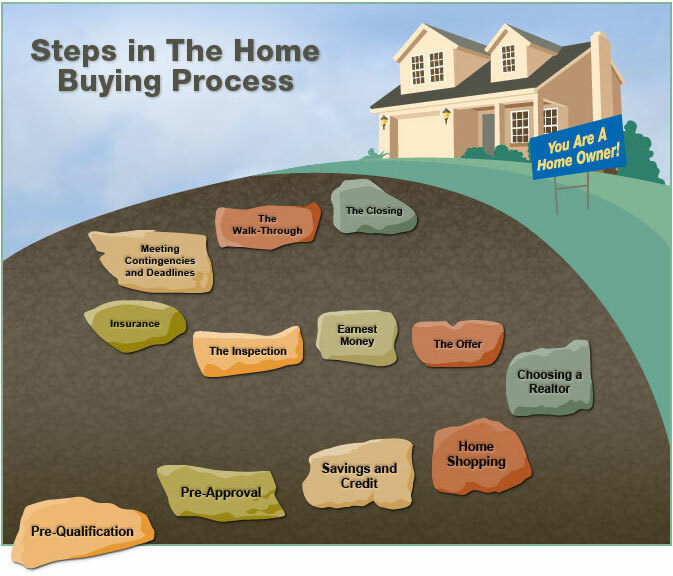 Step 4 – We will prepare closing documents including the Mortgage and Order to Pay. Step 5 – We usually meet with you 1 – 3 days before funding to sign documents. Step 6 – We will register the Mortgage, obtain funds from your lender, payout any existing lenders or creditors approved in the Order to Pay and arrange for deposit or pick-up of proceeds. Step 7 – We will provide you with a final report, including the net mortgage proceeds. Do I qualify for an exemption under the provincial Property Transfer Tax? Can I take money out of my RRSP under the federal Home Buyers’ Plan? What are my Closing Costs and adjustments going to be? I have a binding Contract of Purchase and Sale and been approved for a mortgage, what is the process or the Closing Steps? The Home Buyers’ Plan is available to “first time buyers”. Unlike the Property Transfer Act, a purchaser can qualify as a “first time buyer” more than once if they or their spouse have not owned a principal residence for approximately four years. The Home Buyer’s Program allows a first time buyer to withdraw up to $20,000 without paying tax on the withdrawn amount. The home being purchased must be a principal residence, can be existing or being built and the RRSP must be repaid within 15 years with minimum payments of 1/15th of the withdraw amount (see Home Buyers’ Plan for more information). 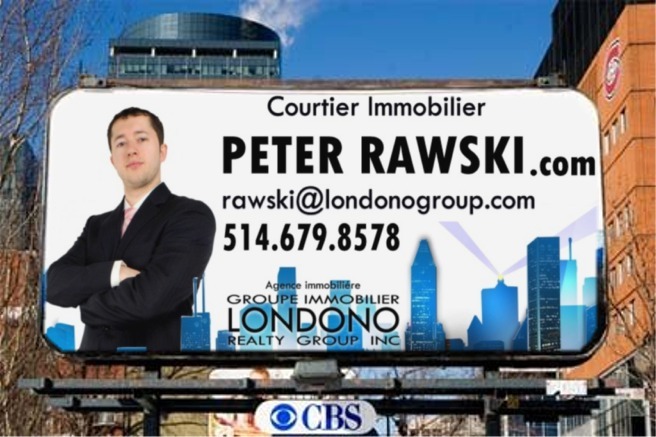 Buyers Non-residents can own property in QC/Canada but there are some important considerations. Mortgage qualifications in Canada are different for non-resident buyers than for Resident Buyers. Non-resident buyers should consult with a lender or mortgage broker to understand the qualifications for a non-resident buyer. Non-resident buyers will need to open a Canadian bank account and will need to do so in person with identification acceptable to the lender. Non-resident buyers do not need to be present in QC. to execute closing documents. We utilize technology to streamline the closing process for non-resident buyers. Documents can be forwarded electronically and executed in front of a lawyer or notary in most foreign jurisdictions. It is important to make arrangements for the transfer of monies well in advance of closing. Non-Resident Buyers should also consult with a Canadian tax professional to discuss tax treatment both during the period of property ownership and on disposition. A non-resident owner of rental property will be subject to a 25% withholding of taxes on the gross rental income. Administrative rules require that the owner or agent remit these amounts to the Canada Revenue Agency. A non-resident owner may file a special form to have the withholding taxes reduced which essentially treats the non-resident as a resident with respect to the rental income. This form needs to be filed before January 1st of each year. For further information, please contact a tax professional. Sellers To avoid liability for non-resident sellers’ unpaid taxes, purchasers must withhold a portion of the sale proceeds until a non-resident seller has provided a Clearance Certificate from Canada Customs and Revenue Agency. The holdback is normally 25% but could be higher depending on the use of the property. 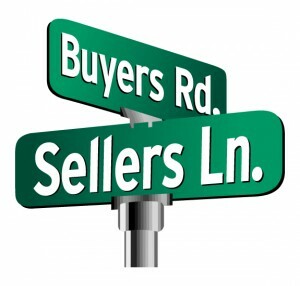 A non-resident seller should retain the services of a tax professional to assist in obtaining a Clearance Certificate. This should be done as soon as possible as the process can take six to eight weeks. Under circumstances where the holdback would not leave sufficient funds to payout an existing mortgage at time of closing of the sale, a seller can claim hardship to expedite the issuance of a Clearance Certificate. A Clearance Certificate will only be issued once the tax is paid. Canada Customs and Revenue Agency will review the particular sale transaction to determine whether or not capital gains tax is payable but will also require payment of any other taxes outstanding or payable by the seller. The seller can claim certain expenses in determining the adjusted cost base including Property Transfer Tax, Goods and Services Tax, legal fees on the original purchase, and any capital improvements made, including strata assessments. The commission, tax and legal fees on the sale are not deductible for purposes of calculating tax owing at the time of the sale. The seller can claim these expenses by filing a Canadian tax return subsequent to the sale. Anastasia Kyva, B.Sc., LL.B., D.D.N. ← How Does The New To Canada Mortgage Program Work?